SPECTO Aerospace, location Woensdrecht, is a Part 145 approved organization specialized in the maintenance, repair and modification of composite and light sheet metal aircraft components for both military as well as civil operators and OEM’s. At our Woensdrecht facility we focus on helicopters with a short turnaround time and reduced costs for our clients. 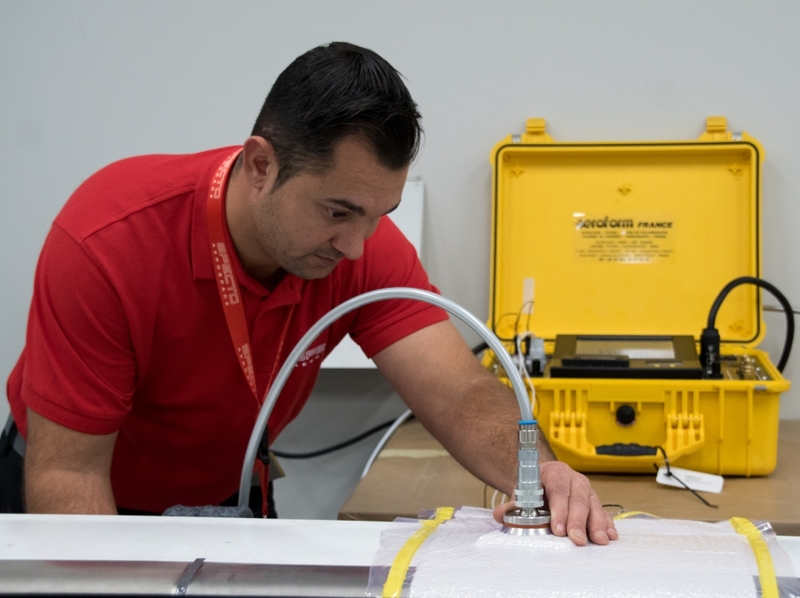 As a response to a growing demand for maintenance, repair and modification of composites and hybrid structures, SPECTO Aerospace taps into its 20 years of experience on composites processing technology to serve the Maintenance, Repair and Overhaul (MRO) market. The current approved ratings for our location at Woensdrecht include: Doors & Hatches (C4), Helicopter Rotor Blades (C10), Aircraft propellers (C16) and Structures (C20). 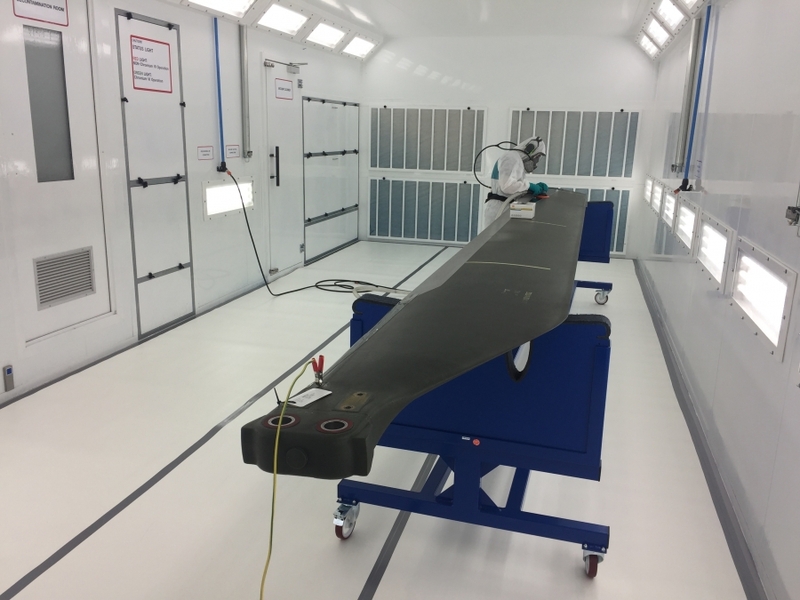 Inspection and repair of composite rotor blades requires specific knowledge of composites and of rotor blade design. In-house inspectors examine the rotor blade visually, by tapping and by using NDI. They determine if there is (in)visible damage or delamination within the structure and they assess the severity of the damage. 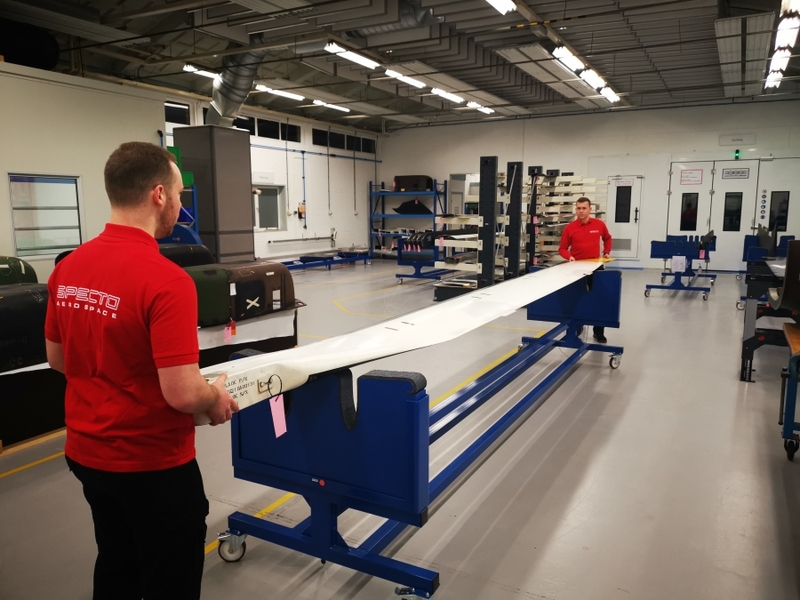 Repair of rotor blades requires specific skills to guarantee that strength, aerodynamic shape, weight and balance remain within defined limits after repair. Experienced specialists perform required authorised repairs. Protecting components against environmental conditions in a proper way increases the Mean Time Between Unscheduled Repair. Components are painted in a state of the art facility by experienced paint specialists. Proper balancing of a rotor blade decreases the required number of Rotor Track & Balance (RT&B) flights. SPECTO has advanced balancing equipment to perform span wise as well as chord wise balancing, all according to OEM data or Master Blades. SPECTO Aerospace works on both military as well as civil platforms and takes responsibility for the composite repair, engineering and program management. 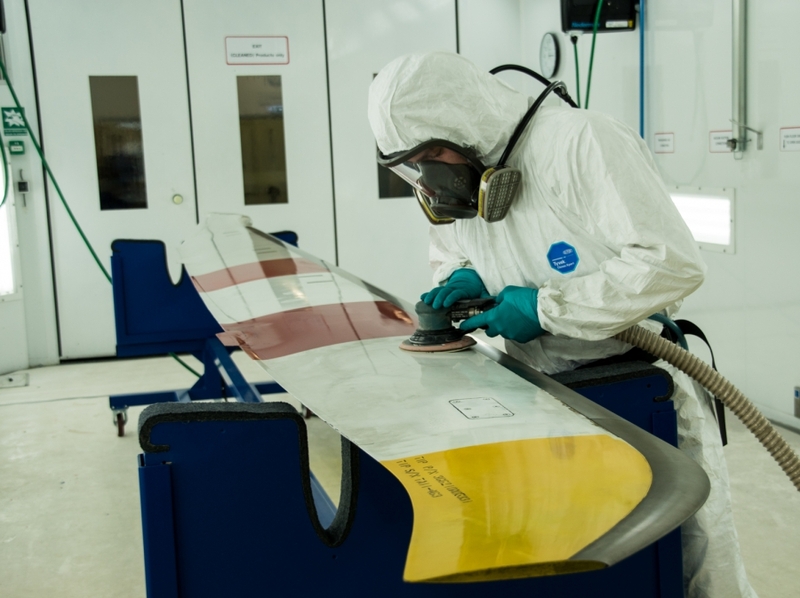 OEM-approved procedures are used to repair rotor blades and other aero structures. Depending on the aircraft type, a large number of repairs can be performed.